Delhi Agra Jaipur tour, or popularly known as the Golden Triangle tour is one of the most popular tourist attractions in India. 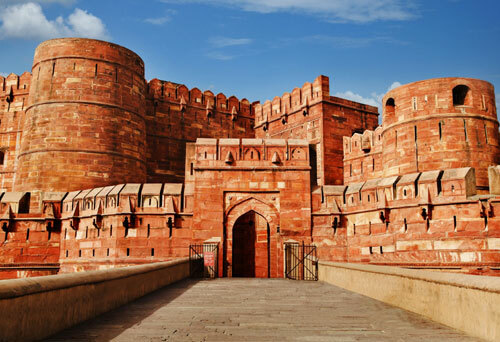 Explore India's Golden Triangle tour for four days in New Delhi and discover India's most famous attractions such as Taj Mahal, Agra Fort and Jaipur. Explore the highlights of Delhi, Agra and Jaipur on a guided 4-night tour that travels round-trip from Delhi. Visit UNESCO World Heritage Sites including Qutb Minar, India Gate and Humayun's Tomb in Delhi; the Taj Mahal and Agra Fort in Agra; and the Amber Fort and Jantar Mantar Observatory in Jaipur. You’ll also see iconic sights such as Palace of Winds (Hawa Mahal) in Jaipur. This memorable India tour includes an accommodation and private transportation. Note: The names of the hotels given in the offer only indicate that our rates are based using these hotels. Please do not take it for sure that accommodation is confirmed on these hotels until and unless we convey to you the confirmation of accommodation mentioning these hotels. In case the category of rooms /Hotels envisaged in costing not confirmed, we shall advise the amended rates. 06 Nights’ Accommodation on twin sharing basis. English Speaking Guide as per itinerary. Elephant / Jeep Ride in Jaipur. Assistance for arrival and departure at Airport and Hotels. Visit to Sheroz Hangout café in Agra. On Arrival, our executive will greet you at the airport and transfer you to the hotel. Check-in the hotel . Delhi – The remarkable Indian Capital was architecturally designed by the British architect Edwin Lutyens and was named after him. It has a pleasant contrast to the twisted streets of Old Delhi. Enriched with history and culture, the impressive avenues and imperial buildings of New Delhi are included in the list of attractions. Overnight stay in hotel. After breakfast, check out and get ready for visit, Parliament building and Old Delhi. Parliament House or SansadBhavan is one of the most impressive buildings in Delhi. Located at the end of SansadMarg the Parliament Building was designed by British architect Edwin Lutyens and Herbert Baker. This iconic building was inaugurated in 1927 by Lord Irwin, the then Governor-General of India. Enjoy The walking tour though Old Delhi is a great way to discover the sights of the old city at a leisurely pace. Hire a rickshaw, easily available all across Old Delhi and ride through the narrow, winding lanes of Chandini Chowk, enjoying views of the Red Fort, Jama Masjid and the ancient architecture displayed on old buildings. The rickshaw tour is a great way to discover a different aspect of Delhi and experience the energy of the city. Later drive to Agra. Overnight stay in Agra. 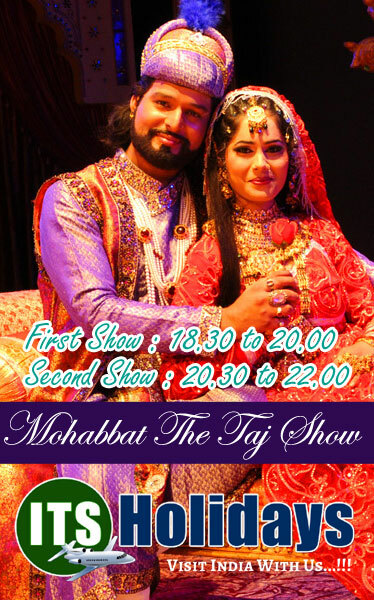 After breakfast, get ready for another Agra Guided tour inclusive of Taj Mahal, Agra Fort, Sheroes hangout. The Taj Mahal is an integrated complex of structures that include a white marble mausoleum containing the tombs of the Mughal emperor Shah Jahan (1592 - 1666) and his third wife Mumtaz Mahal (1593-1631). The Sheroes, here are women who have fought to survive after receiving a debilitating blow to their appearance and self-esteem by some members of the society. These women are on the way to becoming true fighters, who have the courage to live, work and walk in the midst of the society and force the society to reevaluate its norms about beauty and appearance. Later back to hotel, overnight stay in hotel. After breakfast complete your checkout and drive to Jaipur via Visiting Abhaneri Step Well. Abhaneri Step Well - Abhaneri is originally named as AbhaNagri that means City of Brightness. It was built by King Raja Chand of Gurjar Kingdom in 9TH century. It is popular for Chand Baori and Harshat Mata Temple. It is a legend that Goddess Harshat Mata shower brightness all over the village, so it is namedAbhaNagri which is probably mispronounced as Abhaneri. Continue drive to Jaipur. On arrival in Jaipur check-in hotel Overnight stay. After breakfast start for full day local sightseeing in Jaipur. 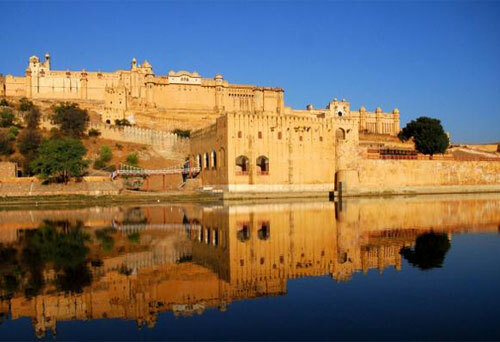 Visit Amber Fort and JantarMantar (Observatory) & take a photo stop at Hawa Mahal. Amber Fort, also known as Amer Fort is one of the best tourist destinations not just in Jaipur City but the whole of Rajasthan. Amer and the Jaigarh Fort are regarded as a single structure and a subterranean passage connects the two forts. The City Palace is a palace complex, situated in the core of the Pink City Jaipur. The beautiful complex comprising numerous edifices, vast courtyards and attractive gardens, is a souvenir of the majestic history. The Chandra Mahal and Mubarak Mahal are some of the significant structures in the complex. To preserve the valuable items of the bygone era, many compartments of the palace have been converted into museums and art galleries. The Jantar Mantar in Jaipur is the largest and one of the best preserved of five observatories constructed by Maharaja Sawai Jai Singh all over northern India. For being a reputed astronomer, Jai Singh was commissioned by Emperor Muhammad Shah, to correct the astronomical tables and to confirm the data that was available on the planetary positions. Hawa Mahal - The renowned 'Palace Of The Winds', or HawaMahal, is one of the prominent tourist attractions in Jaipur city. Located in the heart of Jaipur, this beautiful five-storey palace was constructed in 1799 by Maharaja SawaiPratap Singh who belonged to Kachhwaha Rajput dynasty. The main architect of this palace built of red and pink sandstone, is Lal Chand Ustad and the palace is believed to have been constructed in the form of the crown of Krishna, the Hindu god. Later Evening Back to hotel. Overnight stay in hotel. After breakfast, Shopping in Jaipur , later - drive to New Delhi. On Arrival in Delhi, check-in hotel. evening free for own activities. 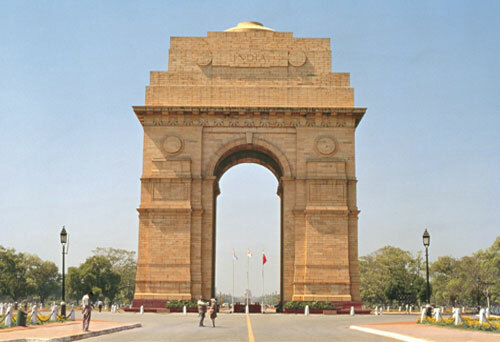 After breakfast, check and proceed to Delhi Sightseeing inclusive of India gate, Parliament , Qutub Minar. After lunch proceed to airport for your next destination. 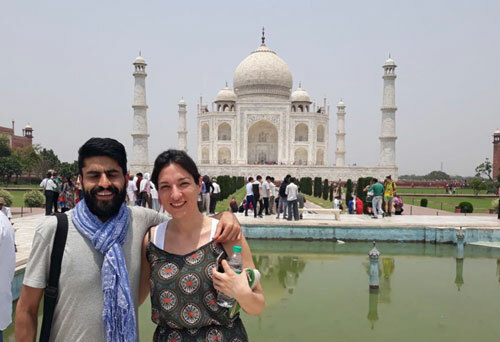 agra tour packages, taj mahal tour from delhi, delhi to taj mahal tour packages, agra taj mahal tour, one day taj mahal tour from delhi, taj mahal day tour from delhi taj mahal tour by car, same day tour packages, same day trip taj mahal by car, taj mahal travel package, taj mahal tour packages.